Thinking of placing an orders for caps or other headwear? Read this first! 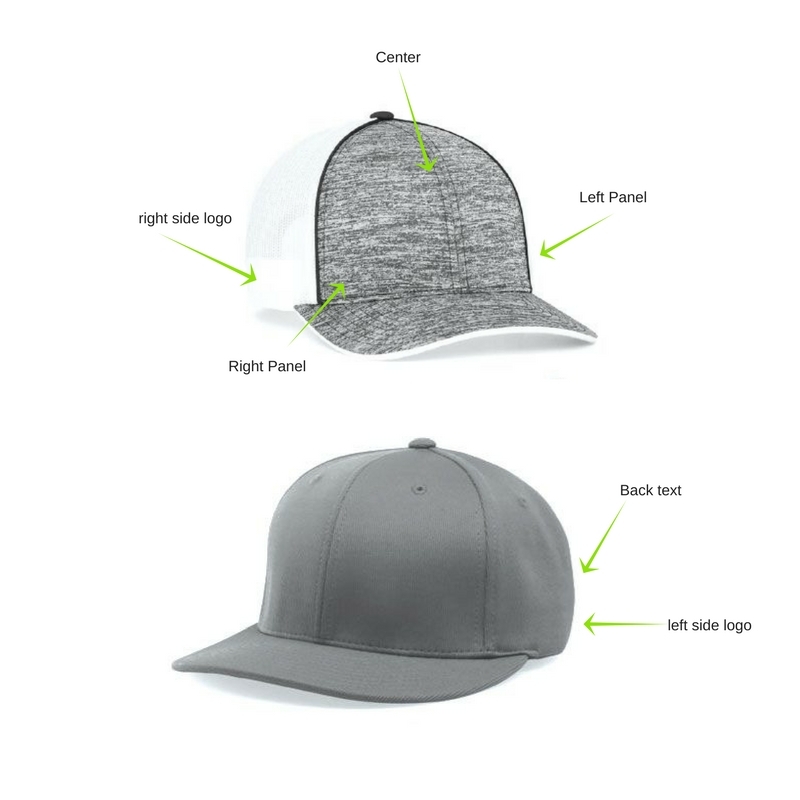 Sew Locations: Caps can be a little tricky and not every design can be perfectly replicated with a curved surface and limited sewing space available. 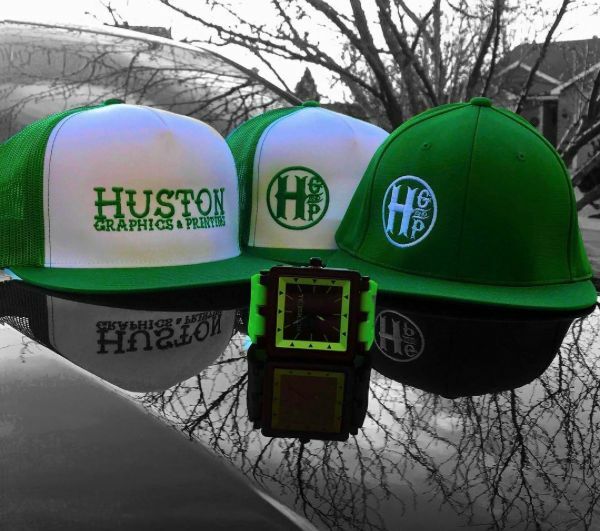 Keeping those limitations in mind, HGP sells thousands of caps per year and has extensive experience making even the most challenging and detailed logos come to life on headwear. 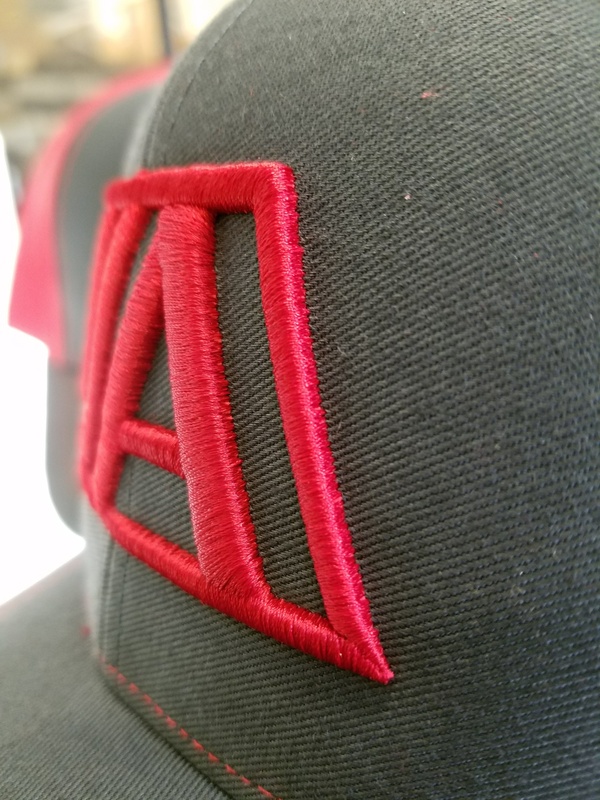 Stitch Type and Placement: Different hats lend themselves to better to certain sew types and locations, for example, certain thin mesh-back caps tear when we attempt to apply text and/flags on the back. We will work with you and consider your designs and preferred cap style to determine the best option for decoration. You are welcome to stop in the store front to check out all of our cap samples we have TONS to choose from. Obviously we don't have every cap available in store but a wide variety of selections are on display. You can also see samples of our embroidery quality and the different sew options available. Here at HGP we want to make sure you receive the exact item you're looking for. If you are not seeing a certain style or brand, feel free to comment, call or email us using the contact information below and we will do our best to locate that exact product or something similar! If you think you're ready to pull to pull the trigger on a quote feel free to fill out the quote request below.